Milwaukee Hyperwire™ wire brush products offer faster material removal and greater life yet maintain a finer finsh. 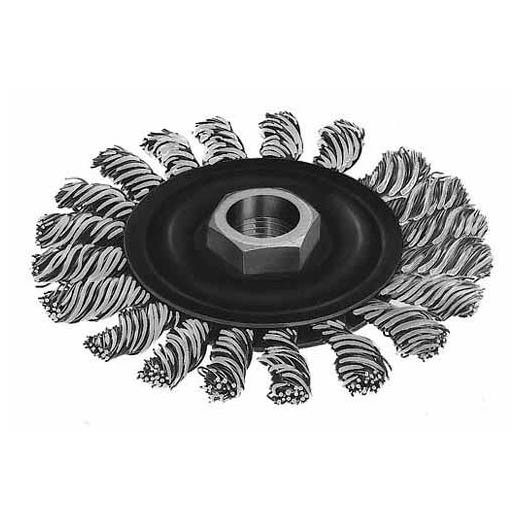 The Full Cable Twist Knot Wire Wheel is designed for general heavy duty cleaning of scale, surface oxidation, rubber flash, heavy burrs and weld splatter. Full Cable Twist Knot Wire Wheels are available in carbon and stainless steel.